Melbourne shoemaker and leather worker Emma Greenwood has carved herself out a unique space in the world. Her brilliantly off beat handmade kicks reference everything from Victorian needlepoint to hip hop culture and her spectacular shoes have won awards, been exhibited around Australia and have featured in numerous publications both in Australia and overseas. 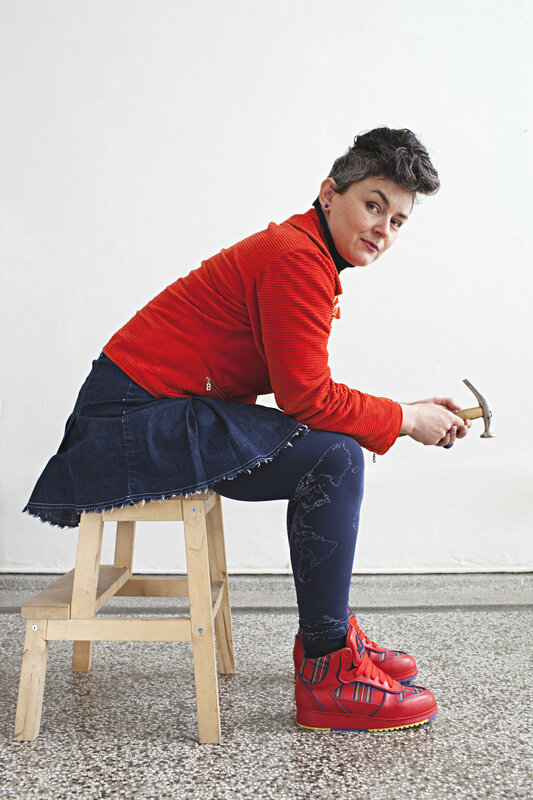 Using a variety of materials such as leather, postage stamps, electrical wire, and handmade textile trims, Emma’s pieces are highly tactile and precious, referencing a love of colour, humour, symmetry and silhouette. Eschewing the need for seasonal trends, Emma revisits signature themes and ideas inspired by flora, regalia, philately, science fiction and pop culture. Either bespoke and highly customised, or in small production runs, she lovingly handcrafts her footwear and accessories entirely from her Melbourne studio.